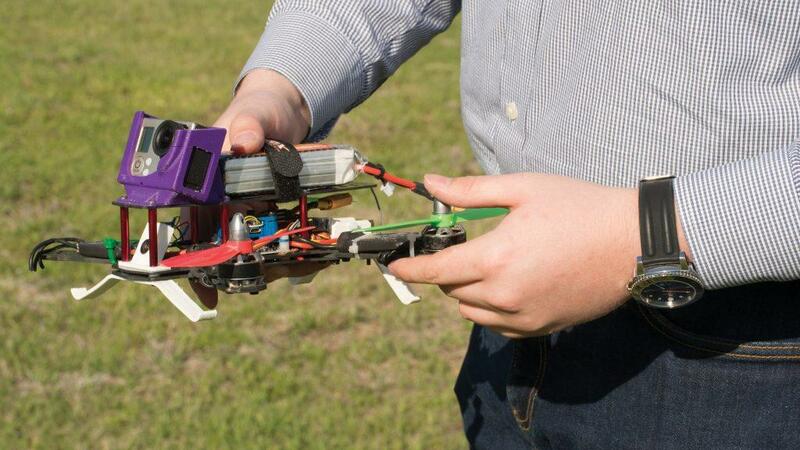 Photo by Jacob Vaughn | Seth Bullis, a former Brookhaven College student, holds a 3-D printed drone he created. 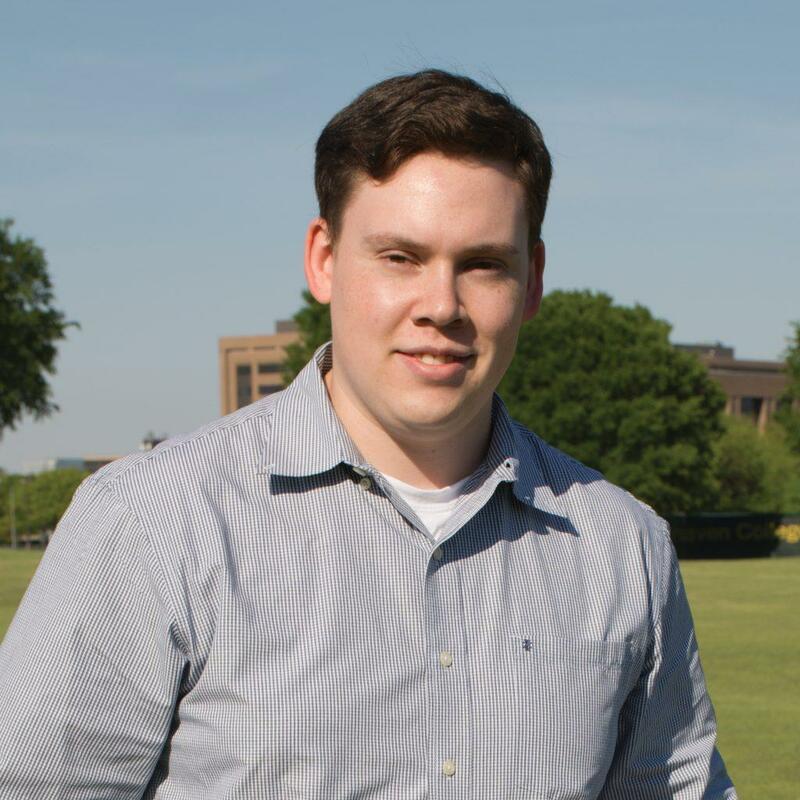 Seth Bullis, a former Brookhaven College student, can be found in one of two places, behind a computer screen analyzing data or observing a 3-D printer construct new parts for a custom drone. However, he was not always this tech savvy. The course was made to be completed at R.L. Turner, but Sires said Bullis and about six other students would travel to Brookhaven for additional help with lab assignments. Bullis was among several of the students who continued on to Brookhaven’s GIS program. Bullis began to demonstrate unique skills that would set him apart from the average GIS student. He designed drones and used 3-D printers to create different parts for his unmanned aerial vehicles, or UAVs, Sires said. While Bullis’ determination impressed his professors, his interest in GIS began much earlier than the later years of his high school career. Born in Dallas in the spring 1997, Bullis was in the Boy Scouts of America and Cub Scouts where he learned cartography, the science of drawing maps. As a Scout, Bullis earned two Triple Crown of National High Adventure awards. One for kayaking 150 miles in 10 days in Minnesota, and another for hiking 90 miles in New Mexico. Sires said the GIS program at Brookhaven offers a Level II Certificate, which students can obtain after taking 13 GIS courses, and an associate of Applied Science degree with 15 GIS courses, and other core classes. “The program prepares the graduate to apply the technology in a professional environment,” Sires said. Brookhaven’s GIS program has received awards at the international, national, regional and state level. This skill set can be applied in many different fields. The GIS program’s offers efficiency for companies in the postal industry such as FedEx, Sears and Walgreens. It improves decision making for urban renewal, ecological conservation and realestate. “GIS allows social, climate and physical scientists to plan, record and model phenomenon as data and reveal effects on human populations and human health,” Sires said. As a high school student, Bullis wanted to be a civil engineer, but after a while in the GIS program, that idea began to bore him. Around the same time, he decided he would take classes at Brookhaven. “I think it’s a lot smarter to go to a community college first, get your core classes out of the way and then go to another college,” Bullis said. Next spring, he plans to attend Texas A&M University. Photo by Jacob Vaughn | Bullis now works at Dallas Aerial Surveys in Addison. In the meantime, Bullis has landed himself a job at Dallas Aerial Surveys in Addison. According to the company’s website, DAS was established in 1977 and provides expert aerial photogrammetry services to planning, design and engineering communities throughout the U.S. The company is in the process of creating a drone program to create maps and digital surface models, Bullis said. In one of their programs, Bullis processes light detection and range, or LIDAR, data from a helicopter or airplane. “LIDAR is a system on a plane,” Bullis said. “It’s almost like a camera. The LIDAR system shoots light down from a plane or helicopter, which is bounced back from the ground to a receiver. The time the light takes to bounce back is then measured. “[It is] kind of like sonar,” Bullis said.